Why Choosing a Pato Rico Product? Our highly specialized team of professionals can help developing customized products, according to the client needs, with natural or synthetic fill, as well as in weight and in sizes. Towels, robes and complementary products of superior quality for bathing, spas and pools. Our products are made according the highest patterns of quality and comfort. 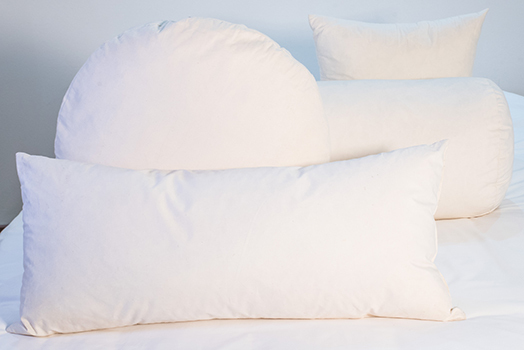 The fabrics used in our pillows, duvets and toppers are 100% cotton and receive a Downproof treatment, that blocks feathers leaking from the fabric. All of the Pato Rico products are subjected to a special treatment against the growth of mites, fungus and bacteria, preventing from breathing and allergy problems. The product customization is possible by including embroidered logos. We use either natural or synthetic fill in upholstery. Our experience and quality are known throughout all Europe, due to several successful projects we have developed. Please, check our portfolio and contact us to get to know many of the exclusive advantages of Pato Rico.